So we’re delighted to announce that two of the pre-school creches we support – Tshedza and Zwigodini – have received donations to provide for much needed new jungle gyms and toilets. Tshedza Community Creche is in Muswodi Dipeni Village. It has very dusty hard grounds with nothing for the children to play on outside the classroom (except for a few old car tyres) until this jungle gym and swing were constructed. It was built during the school holidays so it is going to be a wonderful surprise for them when they get back to school on Monday. 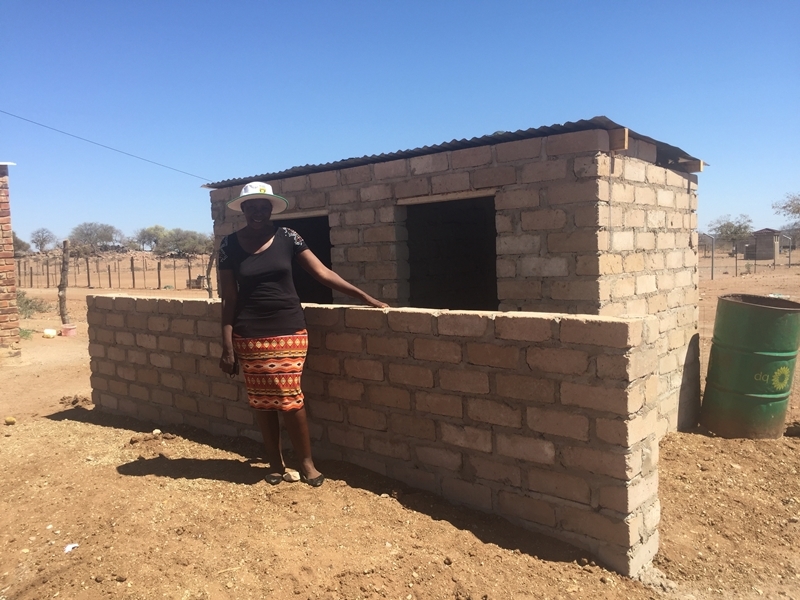 Nancy Nehoray also donated money for building children’s toilets at Zwigodini Community Creche. The children moved into the new creche premises earlier this year and since then have had to share one adult-sized toilet. Blessing Mammbeda, the principal of the creche, specially designed a toilet block for the kids which is safe and is just the right size for them. It also has a roof and separate boys and girls sections. She is delighted and so very very grateful to Nancy for these much needed toilets.